Get Spinning! This Orange Hand Spinner features a simple design of 3x outer bearings around a center bearing. Compact and pocket-friendly, this Hand Spinner is made with high quality steel bearings for maximum durability and smooth, polished plastic. 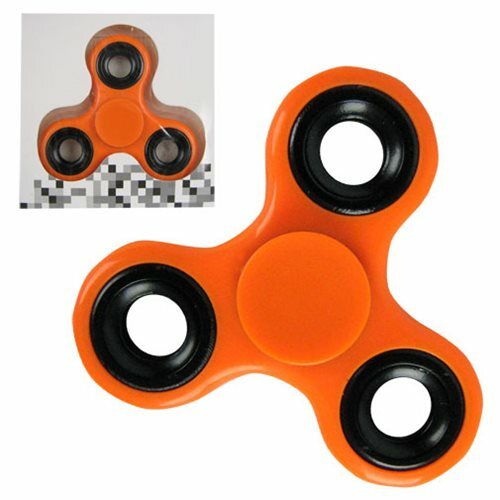 This Hand Spinner Orange Fidget Spinner measures about 3-inches long and comes packaged in window box. Ages 14 and up. "I absolutely love shopping in your store!! " "I absolutely love shopping in your store!!..."